iZettle or SumUp: Which Is Best for Your Business? 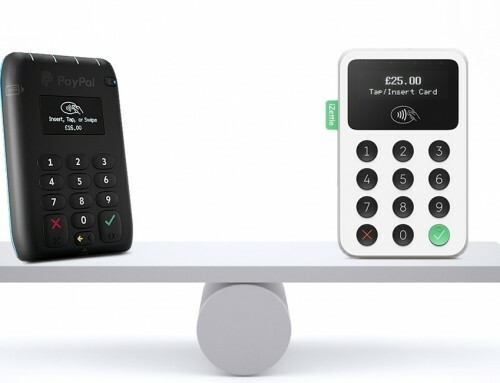 ⌂ > UK > Card Readers > Comparisons > iZettle or SumUp: which is better suited for your business? 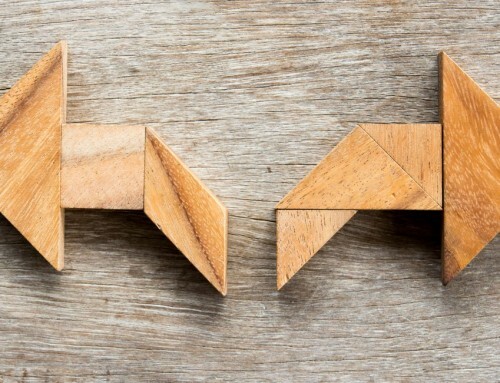 iZettle or SumUp: which is better suited for your business? 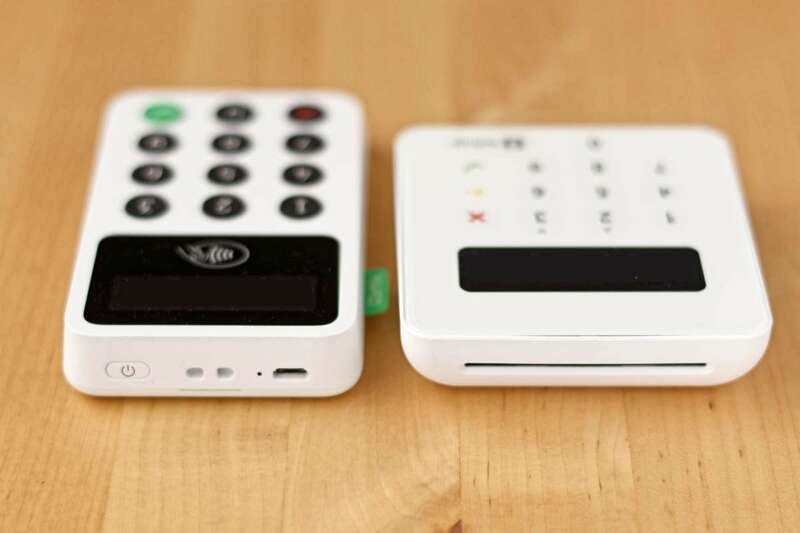 As of 2019, iZettle and SumUp are the top runners in the UK market for mobile card readers. With their devices iZettle Reader and SumUp Air, anyone can turn their smartphone or tablet into a card machine through the processing power of an app. You can buy the card readers for less than £30 each, and the silver lining is that there is no fixed monthly fee or rental charge, no minimum contract period, and no minimum card transaction volumes. You just pay a fee per payment you accept. Their features are somewhat different, but let’s compare fees and accepted cards first. iZettle’s and SumUp’s transaction fees are very similar. 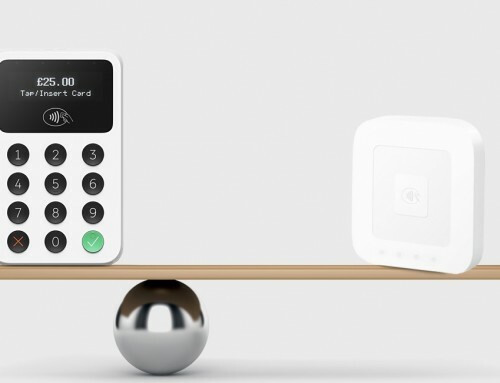 iZettle charges a fixed rate of 1.75% and SumUp 1.69% of all card transaction totals regardless of card brand or whether it is a premium, debit or credit card. Low-volume merchants with card transactions of £2,000 per month will see no significant difference in fees – SumUp will charge £33.80 and iZettle £35. For medium-volume business, a flat rate of 1.69%–1.75% for all cards is comparable with negotiated rates from WorldPay, Sage Pay and other providers. The fees are especially competitive for premium cards like JCB and Amex, which normally cost significantly more in processing fees through other providers. Neither SumUp nor iZettle have monthly fees or other charges on top of the transaction fee. As we will see below, iZettle offers more features and also allows you to accept a few more card brands. They both deposit payments directly into your business’ bank account, minus the transaction fee which is automatically deducted. iZettle’s 1-2 working days’ settlement is slightly faster than SumUp’s. Depending on your bank, the funds may be credited the same day or the next. Settlement time for SumUp depends on whether the transaction was with a debit or credit card. Debit card payments are credited within a day, while credit card payments may take up to three days to show in the bank account. Both iZettle Reader and SumUp Air accept the most common cards including Visa, V Pay, Visa Electron, Mastercard and Maestro, plus Apple Pay and Google Play. They also allow you to take American Express, UnionPay, Diners Club and Discover at no extra cost; a bargain compared to the cost a small business would pay with a merchant account of a typical acquirer. With iZettle, you can accept JCB on top of the above cards. For any business dealing with Japanese tourists, this will likely bring you more (and higher) sales. Samsung Pay is similarly only accepted by iZettle. As opposed to traditional, standalone terminals, iZettle Reader and SumUp Air both have a free EPOS system included in the app. The software works particularly well from a tablet as a touchscreen register, but won’t work from a computer. We like both POS apps, but while SumUp emanates reliable German software engineering, iZettle is a joyful combination of functionality and design with more features – plus it simply looks and feels better. The SumUp app is perfectly fine for selling simple products or services. But with iZettle Go, you have more features like tracking inventory levels, product variables, barcode scanning, tipping, payment links and invoicing through the checkout screen. POS apps works like a touchscreen cash register, as in the above iZettle Go app. 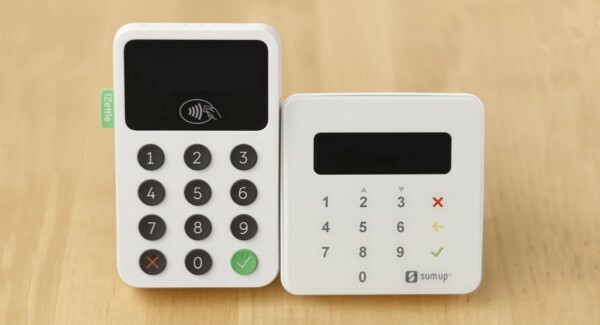 SumUp only allows you to use their card reader for goods and services you provide within seven days. This means you can’t sell, say, a booking for a haircut in two weeks or plane ticket for next month. iZettle is somewhat more lenient, but they do prohibit travel agencies and sales of airline tickets too. With iZettle, you can print order tickets and use open tickets if you upgrade to iZettle Pro for restaurants and other food-and-drink businesses. If you don’t work in hospitality, you can upgrade to Go Plus, which includes out-of-hours customer support, staff-level sales reports and ecommerce. Businesses with a monthly turnover of £25,000+ can get a custom price plan from iZettle. SumUp provides the option to expand to a more comprehensive POS system that is not their own. If you contact them directly, they can give you a quote from compatible third parties like Vend or Goodtill. SumUp can activate a virtual terminal for phone payments, but only some merchants – who already sell face to face – can get it upon request. Through this, you can accept JCB in addition to Visa, Mastercard, Maestro, American Express, Diners Club and Discover. Every transaction through the virtual terminal incurs a 2.95% + 25p transaction fee. Despite iZettle not offering a virtual terminal, they do offer invoicing and payment links (charged 2.5% per payment) and an option to use their ecommerce platform (costs a monthly fee). With invoicing, customers receive automatic reminders if they haven’t paid up yet. Payment links do not contain customer-specific information, but are instead one-time links sent via text, email or social media platform for the customer to pay through any time. Both iZettle and SumUp give you an account online showing you an overview of transactions. You can generate reports and export your sales history to Excel for accounting purposes. iZettle offers better business analytics showing stock levels, most profitable days and times for certain products, how much discount you’ve given, cash versus card sales, and plenty more. All reports are shown in a user-friendly interface. More and more small businesses benefit from affordable, cloud-based accounting software, as it can really save you time. Namely, Xero features are hard to beat: invoicing, inventory, payroll, workplace pensions, VAT computation, purchase orders, and so on. 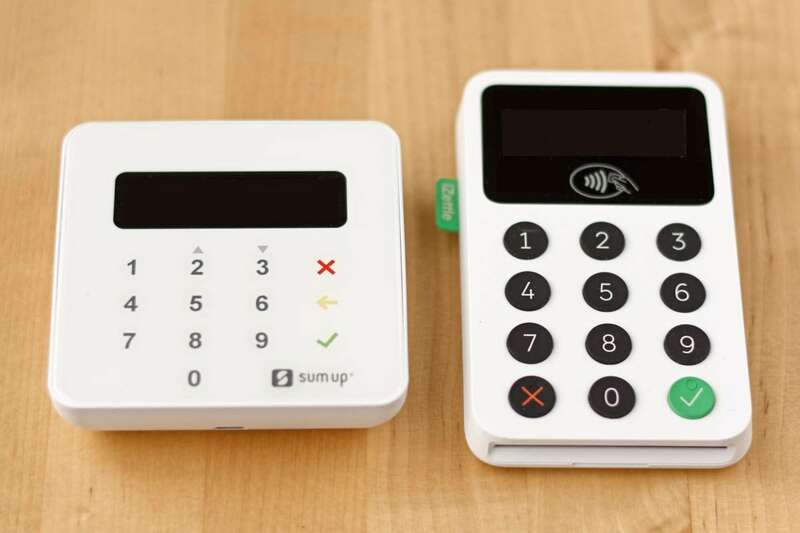 iZettle integrates with Xero – SumUp does not yet. A caveat on the iZettle/Xero integration: while the financial side syncs perfectly, the product level does not. This means that if you sell an item with iZettle, the inventory in Xero will not be updated accordingly. iZettle’s cash advance option is intended for small businesses who otherwise struggle to get a small business loan with favourable terms. Neither SumUp nor iZettle offers payroll, but with the iZettle/Xero integration, you get payroll functionality in Xero for five employees for £15 per month (£10 for the basic package per month and £5 for payroll). With more integrations, a more sophisticated POS app and more elaborate reports, iZettle could be more attractive for businesses who want to benefit from cloud services beyond payments. 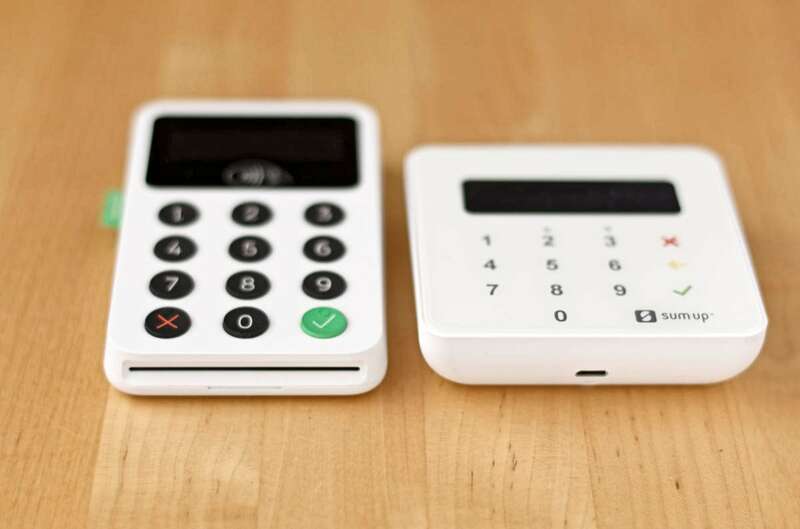 iZettle’s cash advance option (iZettle Advance) has been anticipated for small businesses who otherwise struggle to get a small business loan with favourable terms. Subject to their iZettle sales history, existing iZettle customers can qualify for an interest-free loan based on their estimated future card sales. If you accept the advance, you only pay off through a preset fee for the sales you have. The days you don’t earn, you don’t pay; when you earn more, you pay more. 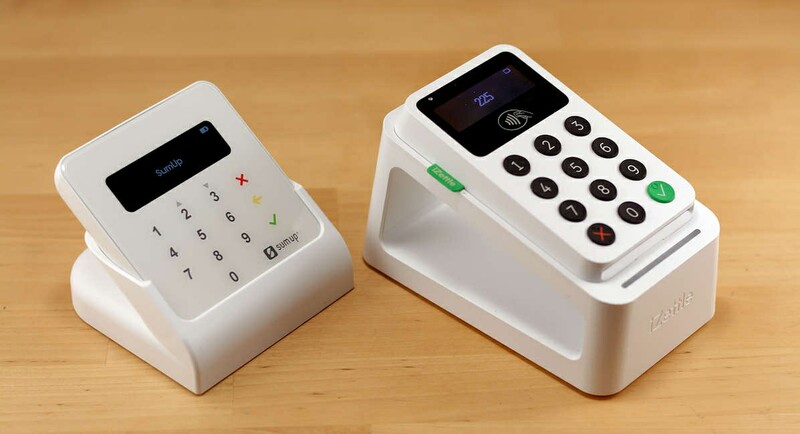 iZettle can be used in the UK only. The company says they are working on making it possible for UK vendors to use it elsewhere in Europe, but as of 2019, this feature is not available. By default, SumUp does not work abroad either, but the company says you may be able to use it in countries covered by their operations in some circumstances. If you want to accept cards on an overseas trip, just contact their customer support team providing the exact dates you want to trade abroad. SumUp’s eligible countries include Austria, Belgium, Brazil, Chile, Cyprus, Czech Republic, France, Finland, Germany, Greece, Holland, Hungary, Ireland, Italy, Latvia, Lithuania, Norway, Poland, Portugal, Slovakia, Slovenia, Spain, Sweden, Switzerland and the US. If you are just interested in taking cards and have a fairly low sales volume, SumUp’s slightly lower transaction fee will save you a bit of money in the long run. If you want the additional features and services iZettle has to offer, that is a good reason to opt for iZettle for low- and medium-volume merchants.